On the internship at The Meesteren Foundation, we received a new order for promotion material. 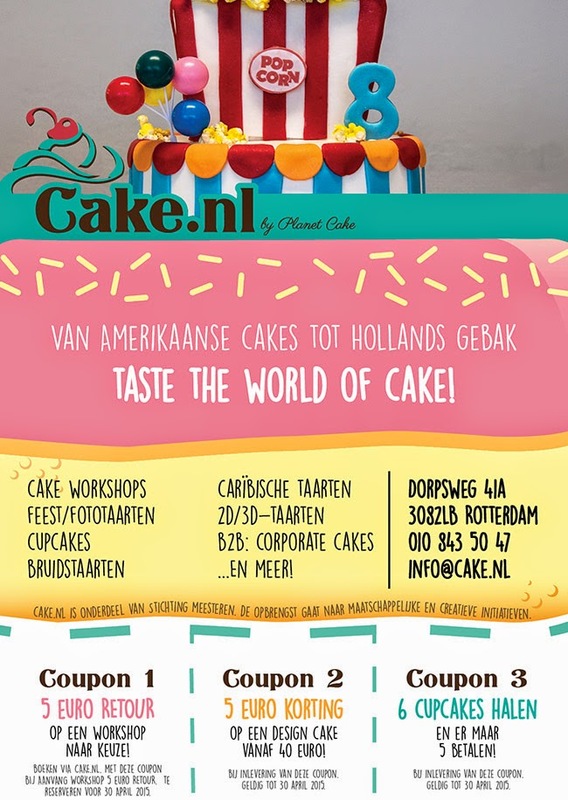 This time it is Cake.nl, which was called Planet Cake before, who are organising an reopening for the store, located in Rotterdam. With the new logo made by my colleague, I had the honour to design the flyer - written in Dutch. There is a 'Cakey' Character coming up, sorta like a mascot the big brands have. I took those colours to divide every paragraph: The slogan is pure icing with some sprinkles, underneath there's some fresh cake with all the options written onto, and the coupons for sale prices are on the cake paper. Thanks to Claudie for having a refreshing view on the design to make it even better! This is the digital advert. Pictures of the printed version will be uploaded soon!